The Barclaycard Miles & More World Elite MasterCard is today's entry in my analysis of foreign airline co-branded credit cards issued by US banks. the Miles & More World Elite MasterCard has an $89 annual fee (not waived the first year) and a signup bonus of 20,000 Miles & More miles after your first purchase and 30,000 additional miles after spending $5,000 within 90 days of account opening. It earns one mile per dollar spent everywhere and 2 miles per dollar spent at "integrated airline partners:" Adria Airways, AirDolomiti, Austrian Airlines Group, Brussels Airlines, Croatia Airlines, LOT Polish Airlines, Lufthansa, Lufthansa Regional, Lufthansa Private Jet, Luxair and SWISS. The card also earns an annual Economy Class Companion Ticket, including one after your first purchase with the card, and gives you the option of converting 25,000 award miles into 5,000 status miles each calendar year. Unfortunately, unless you're booking at the last minute and have no choice but to fly on Lufthansa, the Economy Class Companion Ticket is unlikely to be of any value at all. That's for two reasons: it can only be redeemed for tickets in Lufthansa's most expensive economy fare classes (H, M, Y, and B), and it requires you to pay all the taxes and fees associated with a paid ticket. Under most circumstances, the additional cost of booking into a higher fare class will exceed the fare savings provided by the Companion Ticket. However, on last-minute bookings where only H, M, Y, and B fare classes are available, and when Lufthansa is your only option, it's certainly possible that the Companion Ticket could provide quite substantial savings. Another benefit of holding the Barclaycard credit card is the ability to convert up to 25,000 award miles into elite-qualifying miles at a 5:1 ratio. There do not seem to me to be any clear advantages to doing so, since the opportunity isn't scalable in order to actually achieve Miles & More elite status, which requires 35,000 elite-qualifying miles. Converted status miles also don't count towards Lufthansa's top-tier HON Circle status. Besides integrated airline partners the Barclaycard credit card doesn't earn bonus miles for any categories of spend, so unless you're topping up a Miles & More account towards a redemption it's unlikely to be worth putting any purchases on the card after you've triggered the signup bonus. If you need to top up your account, you'll get a better earning ratio transferring Starpoints in 20,000-Starpoint increments and earning 5,000 bonus Miles & More miles than you will putting additional unbonused spend on their Barclaycard credit card. Lufthansa first class awards from Europe for 85,000 miles. Miles & More passes along fuel surcharges on award tickets, but those surcharges are significantly lower on flights from Europe to the United States than in the opposite direction. For flights from Frankfurt to San Francisco, fuel surcharges run about $224, while in the opposite direction they're about $478. The key advantage of booking such flights with Miles & More miles is expanded award available compared to booking with partner miles. Germany is a rich, populous country and Lufthansa is a big global airline, so as you'd expect there's a fair amount of material out there if you want to research additional routes that offer particularly good values. Drew at Travel is Free has documented some great routes without fuel surcharges, and this apparently-abandoned English-language German blog has some additional and some overlapping suggestions. The current 50,000-mile signup bonus is the highest I've see it go, and after spending $5,000 on the card the resulting 55,000 miles would be enough for 3 one-way domestic first class flights. Another 30,000 miles (25,000 transferred Starpoints) would get you a one-way flight from Europe in Lufthansa first class, with increased access to award seats compared to redemptions of partner award miles. On the other hand, since Miles & More passes along fuel surcharges, it's a relatively poor currency to accumulate speculatively. Before signing up for this card take a look at some of the best Miles & More redemptions linked to above and see if any of them fit into your near-term travel plans. If not, this is unlikely to be the right card for you. In the last few weeks I've done a bit of a deep dive into the annual free night certificates offered by various co-branded hotel credit cards (IHG (and here), Marriott, Hyatt), with the general theme that a single annual free night certificate has to be looked at in the framework of your overall miles, points, and travel strategy. For example, a $75 Hyatt free night certificate can either save you 8,000 Ultimate Rewards points if redeemed as part of a short Category 2 stay (good deal! ), or cost you tens of thousands of Ultimate Rewards points if you let its presence in your account convince you to spend your vacation at a Category 4 Hyatt property rather than, for example, a Club Carlson property where your last night (or every other night, depending on your credit card portfolio) is free. In other words, it's not enough to say the Hyatt Visa Signature credit card gives a free night when you pay the $75 annual fee. That "free" night might be very cheap or very expensive, depending on your travel plans and overall miles and points strategy. Are airline companion tickets too good to be true? Many airline co-branded credit cards offer an annual companion ticket, which are (with a few important exceptions) valid for economy travel in the continental United States and Canada, on flights operated by the issuing airline (excluding their partners and, in US Airways' case, their own sister airline American). Barclaycard US Airways MasterCard (for new and current cardholders in 2015 only): $99 plus taxes and fees for each of up to two companions traveling with the cardholder, when the cardholder purchases an economy ticket fare of $250 or more. Valid in the continental United States and Canada. $89 annual fee. 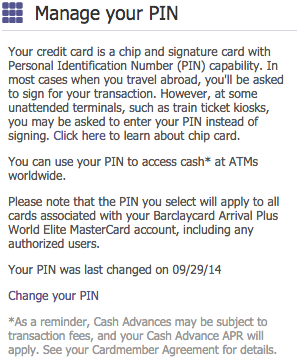 You must pay with your US Airways MasterCard. Barclaycard American Airlines Aviator Silver MasterCard (beginning in the second quarter of 2015): $99 plus taxes and fees for each of up to two companions traveling with the cardholder, when the cardholder purchases a ticket for $250 or more. The cardholder must spend $30,000 each cardmember year to receive the companion tickets. $195 annual fee. Bank of America Alaska Airlines Visa Signature: $121 for one companion to travel with the cardholder, when the cardholder purchases any economy ticket. Valid systemwide on flights operated by Alaska Airlines. $75 annual fee. The primary cardholder must be traveling or the ticket must be booked with a card in the primary cardholder's name. American Express Delta Platinum (economy) and Reserve (economy or first): pay only the taxes and fees for your companion when purchasing a ticket in eligible fare classes. Valid in the continental United States and Canada, except for residents of Hawaii, who can originate there. $195 (Platinum) or $450 (Reserve) annual fee. The terms and conditions state that the ticket must be paid for with your American Express Delta Platinum or Reserve card, although a reader reported that he was able to use a different American Express card. Chase British Airways Visa: you pay only the taxes, fees, and fuel surcharges for a second award ticket in any class of service booked entirely on British Airways-operated flights, originating in the United States. $95 annual fee. The primary cardholder must be traveling. Who are companion tickets right for? Or you manufacture spend furiously. That's because even if you (not unreasonably) value Membership Rewards, Ultimate Rewards, or Citi ThankYou points at more than 1 cent each, you have to earn a huge number of them to "make up" the $95, $175, or $450 annual fees incurred by premium rewards-earning credit cards. The same logic applies to companion tickets. If you're reimbursed by your business or employer for your travel expenses, then the annual fees of these credit cards really might be cheap methods for bringing a travel companion on a domestic trip with you. That's because when the cost of the revenue ticket is taken out of the equation, the credit card annual fees may be a relatively small fraction of the cost of paying for a second revenue ticket: $217 (Delta Platinum) is 25% of a $868 ticket, $210 (US Airways) is 25% of a $840 ticket, $196 (Alaska) is 25% of a $784 ticket. While those hypothetical prices are currently high for leisure fares (I haven't paid $784 for a domestic ticket in years), if your travel companion wants to come with you on a route heavy with business travelers, they're not inconceivable. With that out of the way we can come to the crux of the problem: companion tickets are a bad deal because they require you to purchase a revenue ticket directly from the airline. Redeem US Bank Flexpoints at up to 2 cents each, earned at up to 3 Flexpoints per dollar spent on charity. Maximum discount: 83.3%. Redeem Citi ThankYou points at up to 1.6 cents each on American Airlines or US Airways flights, earned at up to 3 ThankYou points per dollar spent at gas stations. Maximum discount: 83.7%. Redeem Chase Ultimate Rewards points at up to 1.25 cents each, earned at up to 5 Ultimate Rewards points per dollar spent at office supply stores. Maximum discount: 46.3%. Compare that to a revenue ticket purchased directly from the airline, and a companion ticket paid for with your annual fee plus any required taxes, fees, or co-pays. Even the unusually high prices I cited above (with savings of 75% on the companion ticket compared to revenue fares) produce savings of just 37.5% when you're forced to buy the first ticket at retail price. While the Bank of America Alaska Airlines companion ticket and the British Airways Travel Together ticket do have to be booked directly with their respective airlines (over the phone, in both cases), the terms and conditions of the tickets do not require them to be booked with the corresponding credit card. That means you can use a Barclaycard Arrival+ card to pay for both tickets, potentially securing a discount comparable to what you'd get booking using a more lucrative points currency. Personally I prefer to use my Arrival+ miles for non-chain hotels and taxi and Uber rides, but if you're earning them cheaply enough, an Alaska Airlines or British Airways companion ticket might make sense — again, depending on your own miles and points strategy. Despite the fact that here in America we have a more or less centralized banking system, each bank still interfaces with that backbone (the Automated Clearing House, Visa and MasterCard payment networks, etc.) using its own proprietary software. That leads to the various banks processing identical transactions on different timetables. Nothing in this post is scripture, but I thought it might be interesting to share my observations on the quirks of each bank, as I've observed them, and invite readers to share their own experiences in the comments. These observations are based on obsessively logging into all my bank accounts multiple times each day, both on PC and smartphone. If you don't obsessively watch your accounts, you probably won't notice any of these differences, since they don't have any impact on the important stuff like statement balances or due dates. American Express clears transactions the fastest among any of the banks whose cards I carry: they'll typically post the second business day after a purchase. When making a payment, my "available credit" will typically increase on the day the payment is scheduled to be received, while my "outstanding balance" will decrease only the following day. Rewards typically post to third party accounts about a day after statement closing, while my Blue Cash seems to take up to 2 days (based on a very small number of statements to date). Barclaycard clears transactions typically within 3-4 business days, I haven't observed them to be particularly fast or slow. Payments post in the opposite manner of American Express: my outstanding balance will go down in the evening of the day a payment is scheduled to post, but my available credit won't go up until the following business day. One of the many reasons I love the Barclaycard Arrival (now Arrival+) is that rewards post mid-cycle. Interestingly, in my experience they tend to post the evening before a charge actually clears on my online account. This can lead to some confusion about whether miles are the results of a charge posting or RewardsBoost shopping portal miles posting, because the pending charge disappears completely overnight, before reappearing as cleared the following day. US Bank is the opposite of American Express: charges take the absolute longest to post of any of my credit cards, at least 4 business days and sometimes up to 5. However, I've been able to use this to my advantage, because of the other quirk of US Bank compared to my other credit card issuers: US Bank reports my balances to credit bureaux on the last day of the month, not on statement closing, while rewards are naturally based on all the charges during my statement cycle. That means I can drive down my balances before the end of the month with charges that will post before my statement closing date. I'm unable to truly maximize this quirk because my statement closing date happens to fall at the beginning of the month. If you have a mid-month closing date, however, you could easily avoid having any of your spend ever show up on your credit reports. All of my US Bank credit cards are without a preset spending limit, so I'm not sure when credit becomes available again after a payment. However, payments usually show up online the day after a payment is scheduled to arrive, with the correct posting date. Chase is absolutely vanilla compared to these other card issuers. Charges clear within 3-4 days, and payments post on schedule (although they don't show up in online banking until the following day). Ultimate Rewards points post towards the evening of the day my statements become available, while third-party rewards (Avios) can take 2-3 days to post. I also use my Chase cards least aggressively of all my rewards-earning credit cards, so my experience may simply be a consequence of basing my conclusions on fewer datapoints. Do these quirks jibe with your own experiences? Have you observed similar quirks with other card issuers, like Comenity, GE Capital, or FIA Card Services? Barclaycard seems to be running a pretty consistent promotion across many of their proprietary and co-branded credit cards, offering 5 bonus miles/points/whatever per dollar spent for "gas station, restaurant or department, toy or game store purchases" between October 1, 2013 and December 31, 2013. You can earn up to 2,500 bonus miles this way (on up to $500 in purchases). You must receive an e-mail about the promotion in order to be eligible, because registration for the promotion is through a link in that e-mail. I received the promotional e-mail for my Barclaycard Arrival World MasterCard, which means I'll earn 7 Arrival miles per dollar spent at gas stations – an easy category for manufacturing spend. 3,500 Arrival Miles are worth $38.50 in statement credits against travel purchases, thanks to the 10% rebate on travel redemptions. Mommy Points reported an identical promotion for her US Airways MasterCard and one of her readers reported it for the NFL Extra Points Visa Signature. Since these bonus categories don't have anything to do with each other, I hope that this is an effort by BarclayCard to get into the quarterly bonus game and that we'll see more (and more lucrative) promotions like this in the future.